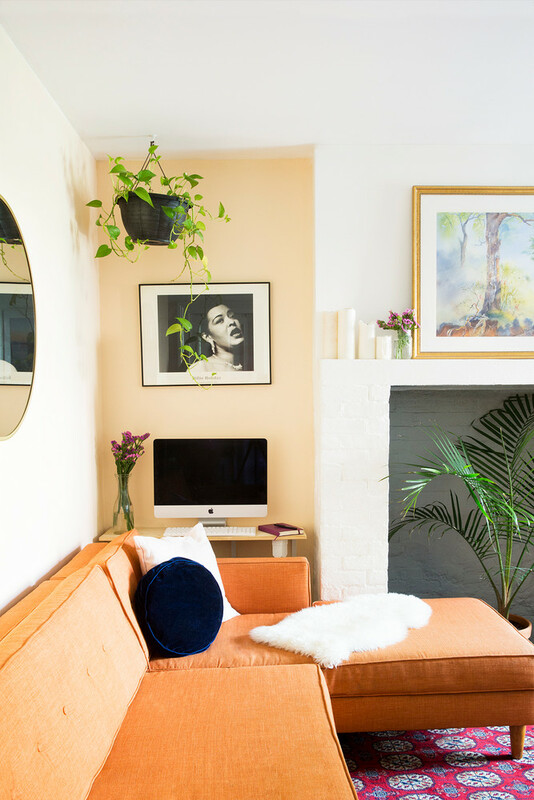 Normally when you have a small space — whether it’s a patio, bedroom or kitchen — your goal is probably just to make it functional and not-too-cramped-looking rather than, say, aiming to make it beautiful or even magical. While designing a small space is certainly a challenge, it presents a unique opportunity to bring a whole lot of personality and atmosphere into limited square footage. 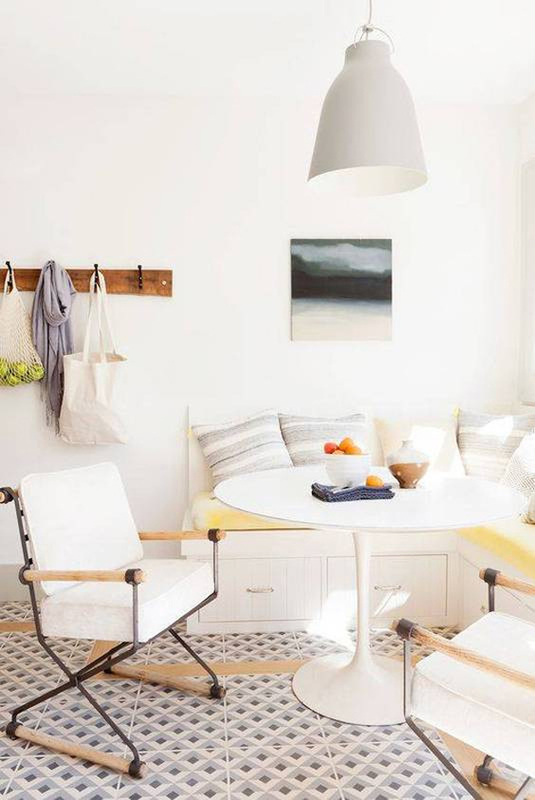 Tiny spaces can also be cozy and den-like in a way that cavernous rooms with towering ceilings can’t. 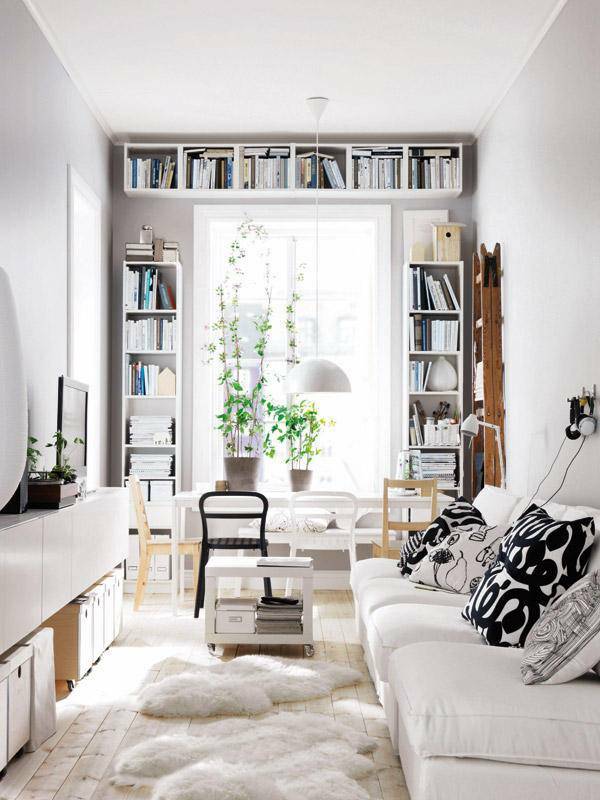 Looking for ideas to maximize the potential of your own mini-space? Check out 13 gorgeous, inspiring ideas below. 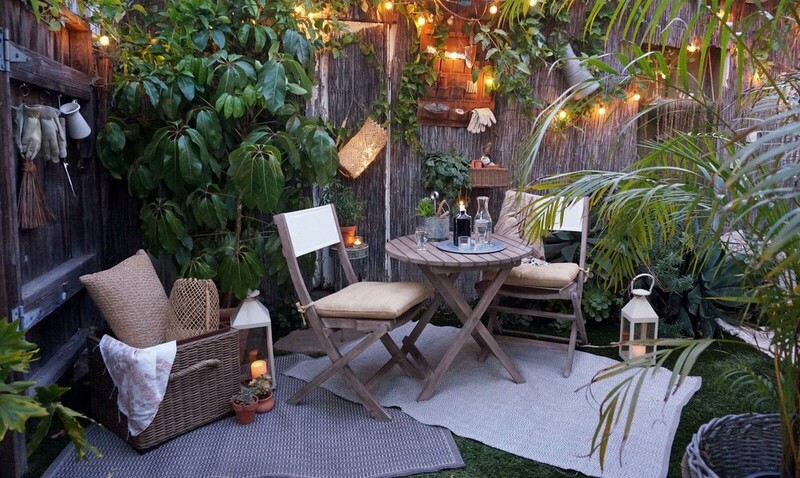 A lack of space actually makes this tiny outdoor garden even cozier. 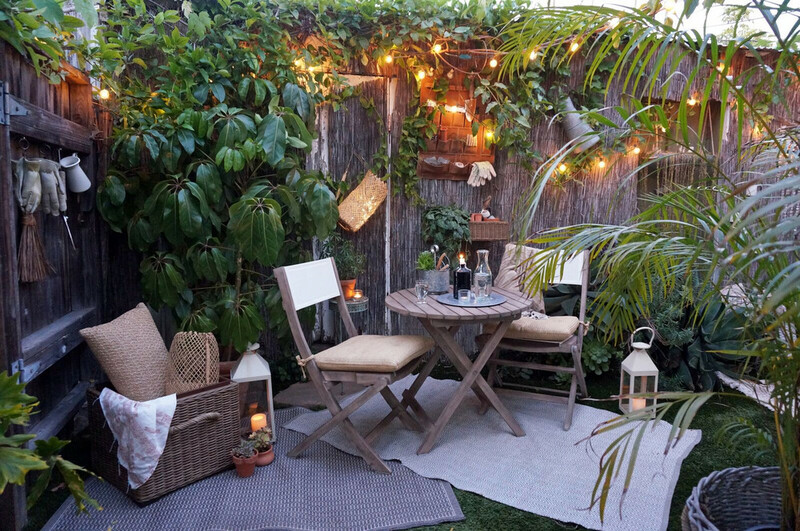 Whitney Leigh Morris, the blogger and designer of Tiny Canal Cottage and who created this little patio area opted for pieces that were easily collapsible in case she needed extra space in a pinch. An open layout preserves the overall flow of a space and makes this 1,745-square-foot LA home seem bigger than it actually is. 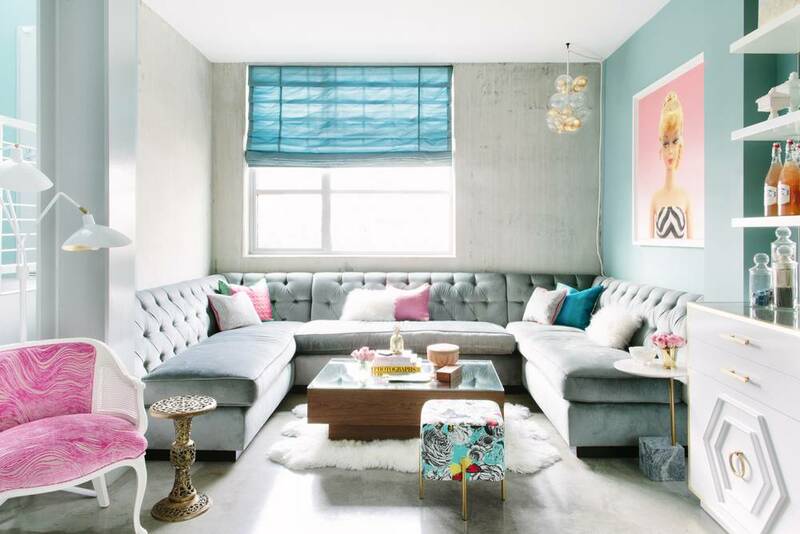 The big window and fun color palette keeps the home feeling fresh and playful. How to make the most of a small space 101: Take advantage of every possible nook and cranny. A small desk fits perfectly in the corner of this 650-square-foot apartment. 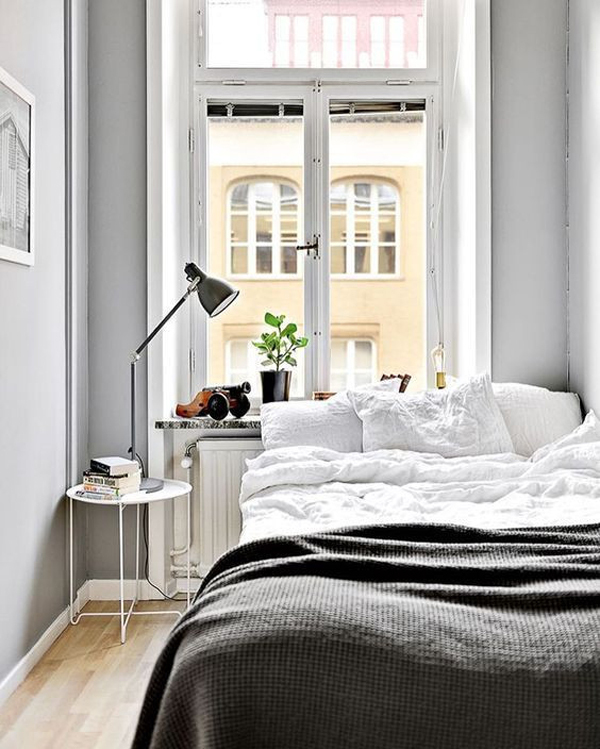 This simple tiny bedroom is every bit as dreamy as its bigger counterparts. We love how the owner of the room repurposed the windowsill as extra storage space to display accent pieces. One of the most important things to keep in mind when decorating a small space is getting rid of clutter. Keeping everything tidy and out of sight provides the illusion of added space; something this room does perfectly through mounted shelves and a dining table that comes with drawers. 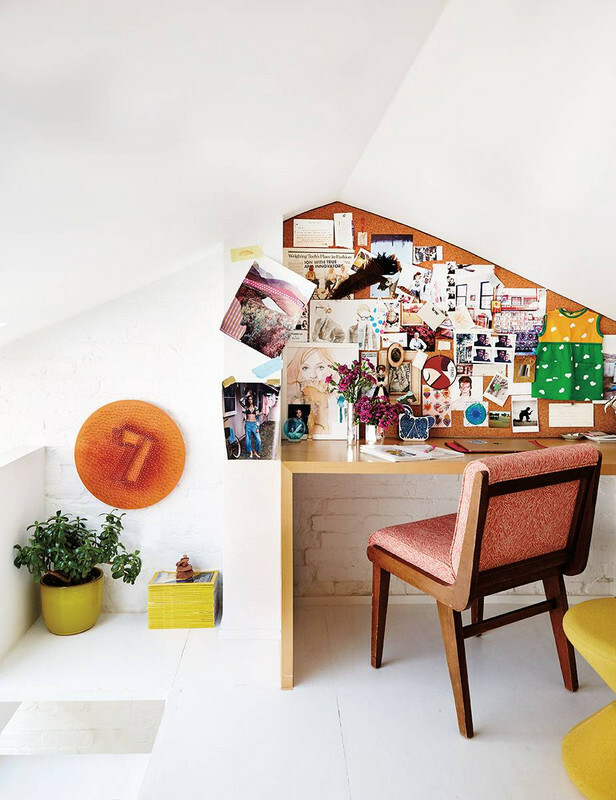 Transforming a wall into a bulletin board or chalkboard is ideal when you lack space for a full home office — and instead have to rely on a corner. It designates the area as a work-specific environment without so much as one bulky room divider! A daybed is the ultimate multifunctional decor piece. It’ll take any space from living room to bedroom in an instant. 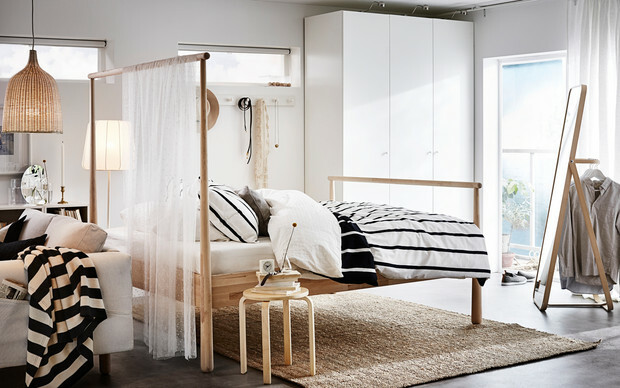 This room makes even more efficient use of the lack of square footage by having the daybed built into the wall to minimize the space it takes up. When space is an issue, think vertically. Taking full advantage of every available surface to add shelving or even a full library adds character and ensures you’re not wasting any precious space. Open shelving takes the place of a china cabinet in this small dining room, providing both organized storage space and an opportunity to display your favorite books and decor pieces. Being more intentional about decorating helps you only keep what you truly use and love. 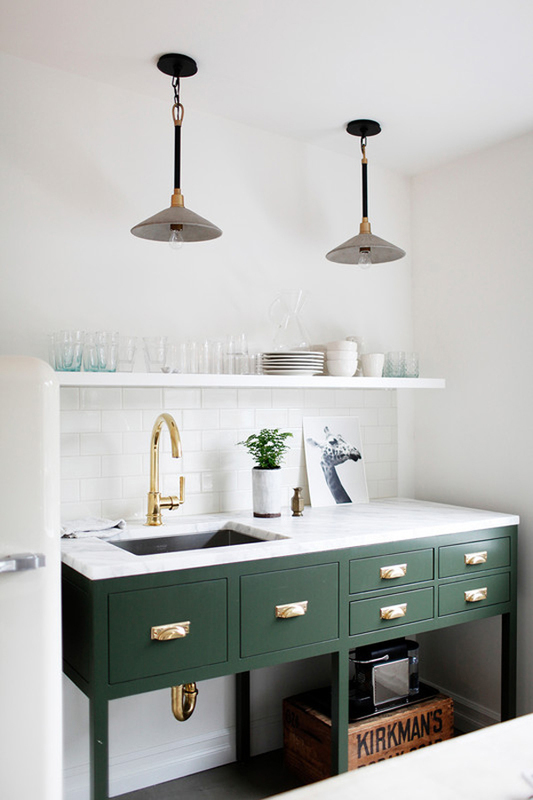 This tiny kitchen is minimalist perfection, allowing the bold green cabinetry to really pop as the focal point. A full dining room is nice, but as this room proves, a dining nook can be just as stylish. Banquette seating provides extra storage and doesn’t take up as much space as bulkier chairs. How smart is this? A canopy bed frame doubles as a room divider in this studio. The versatile piece creates the illusion of two separate rooms without obstructing the natural light.